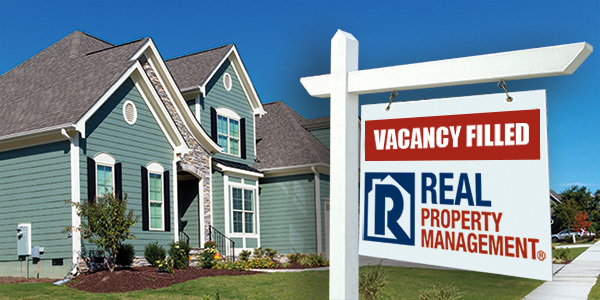 Vacant rental homes are attractive to trespassers and squatters. As a rental property owner, you are right to be worried when you have no one in line to replace a tenant moving out. By definition, a squatter is a person who unlawfully occupies an uninhabited building or unused land. In simple terms for homeowners, a squatter is a person who chooses to stay in your property without your consent. Some cases even include a former tenant who still lives on the property despite not paying rent after their lease has expired or been terminated. These unlawful occupants are not good for your South Meadows rental property as it hinders your chance to lease it to new renters. The best way to avoid squatters is to keep your property secure and, if you don’t live nearby your rental home, have a property management company check on the place on a consistent basis. If you discover a squatter, it is a must that you act on it immediately. Call the police and have them take care of your squatter problem. Because if you don’t, it would be difficult for you to evict them because the courts will see your hesitation to evict as a sign of consent. One other common complication that is possible is if the squatter has turned on utilities at that address in their name. They are wise enough to know that some places recognize such act it establishes residency even though they are stealing what is legally yours, to begin with. If that is the case, the police will then consider the situation a civil and not a criminal matter. If the police are unable to help, your next solution is to serve the unlawful occupant with an eviction notice. Occasionally, just by giving notice will let the squatter to move on and leave your property. If they don’t leave though, there will be a need for you to file an unlawful detainer lawsuit, which will prompt formal eviction proceedings. Depending on the speed of the court system in your area, this could take anywhere from a couple week to several months. But once you have a judgment in your favor from the court, you can hire the local sheriff or police officer to remove the squatter for you. Once you have successfully evicted your squatters, you will need to address their personal property. Be careful because if they left willingly or not, they may leave their belongings behind. Depending on where the rental home is located, you may be able to just throw these items away. However, in some places, you may need to place the items in a storage unit at your expense. If the squatter doesn’t pay the storage fees and claim their property, then you have the right to auction it off or dispose of it as the law in your area dictates. Dealing with squatters can be a long, hard process, taking up your valuable time and resources. This is why proactive prevention is the best approach to unlawful occupants. At Real Property Management Corazon, we skillfully manage the move-out process when tenants leave and fill vacancies quickly. After all, an occupied rental house is a profitable, squatter-free rental house. For more information about our South Meadows property management services, contact us online or call us at 775-826-1414 today.